The blazer our entire team is obsessed with. We&apos;ve come to refer to this blazer among our team half-jokingly as the "Sisterhood of the Traveling Blazer." After I wore it to the office and at this photoshoot, Leslie wore it to a Valentine&apos;s Day event, and our graphic designer borrowed it for a dinner out. Even though we each have different styles, the blazer complemented each of our outfits perfectly, due in part to its universally flattering shape and length, and boyish fit. 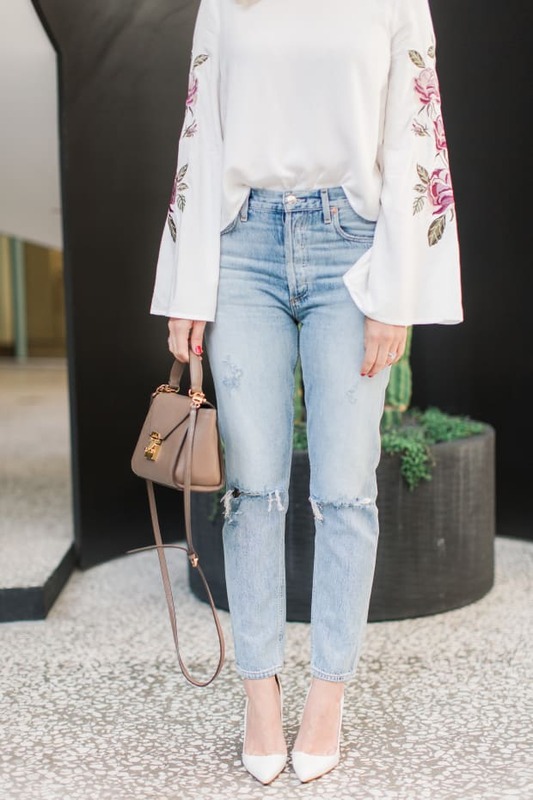 It turned out to be the perfect last touch for a pulled-together look, whether thrown over a maxi, or jeans and a t-shirt.